Alessandro Bassi graduated in Computer Science from the University in Milan in 1994. He joined Amadeus in January 1997, and he moved to the University of Tennessee in 2000, where he was involved in the seminal work of the Internet Backplane Protocol, developing concepts that became mainstream years later (such as Cloud Storage). From 2002 he then held a Research Visitor position at the Ecole Normale Superieure in Lyon, France, integrating the distributed DataGrid work with high-performance networking. After working one year for RIPE NCC, in November 2004 he joined Hitachi Europe, where he collaborated with Hitachi Data Systems on several Cloud-based project. Since September 2010 an Independent Consultant, working on topics related to Internet of Things and Cloud technologies, and he actively collaborates with Nevoa Networks for developing their Data Cloud products. He was a member of the IoT Expert Group, nominated by the European Commission (2010-2012). Furthermore, he serves in the EU-China and EU-Taiwan Advisory Group. He was the Technical Coordinator of the lighthouse project regarding the Internet of Things in the Framework Programme 7, 'Internet of Things - Architecture" (IoT-A). 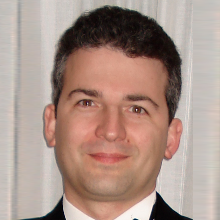 Alessandro has been a keynote speaker in more than 100 events.